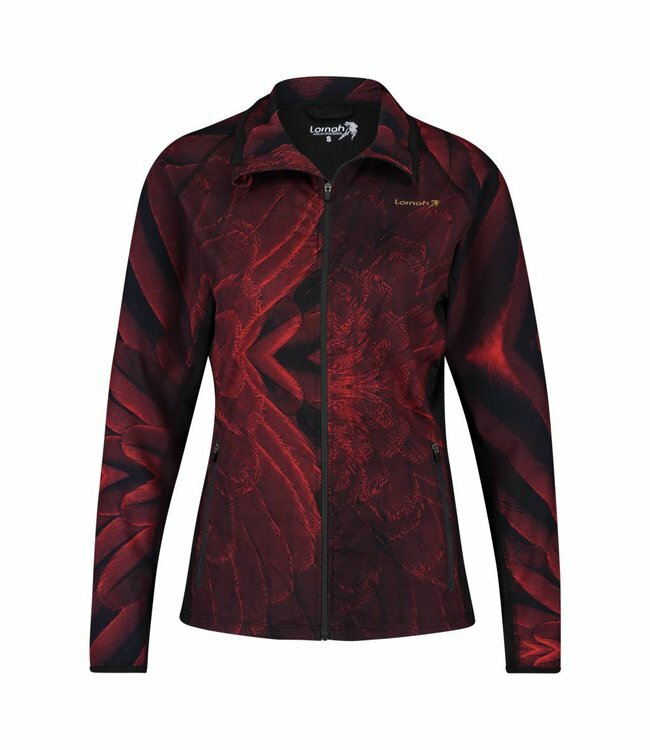 Fahari sports bra red & black feathers Read more.. 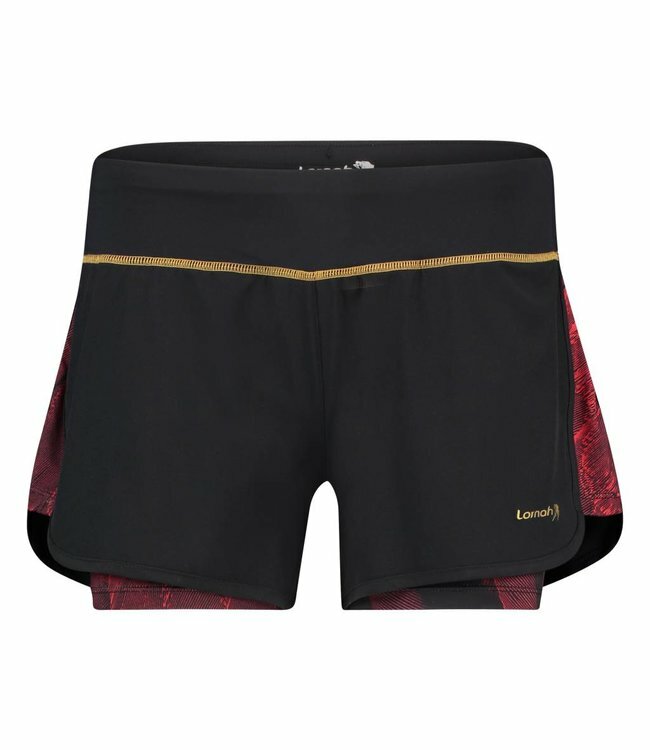 The Fahari sports bra is a truly unique item. 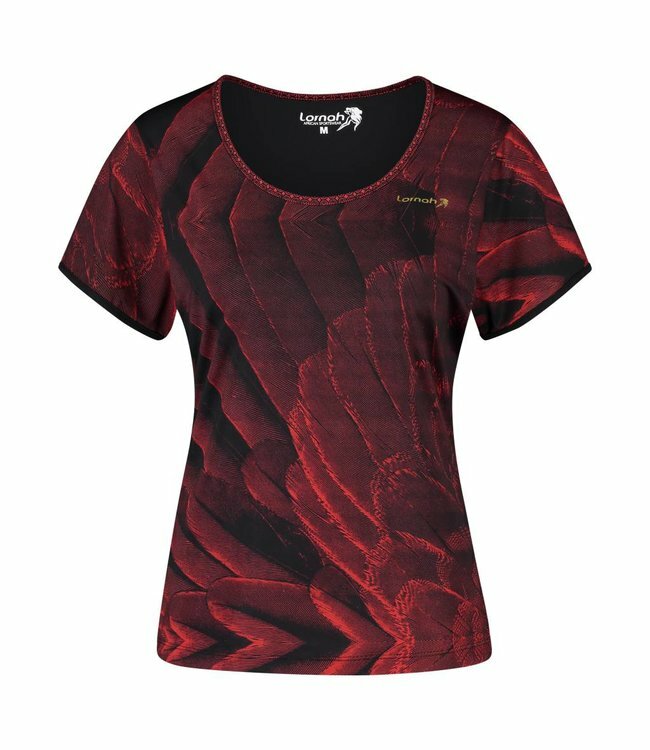 The sports bra is printed with our stylish and elegant black & white feathers print. 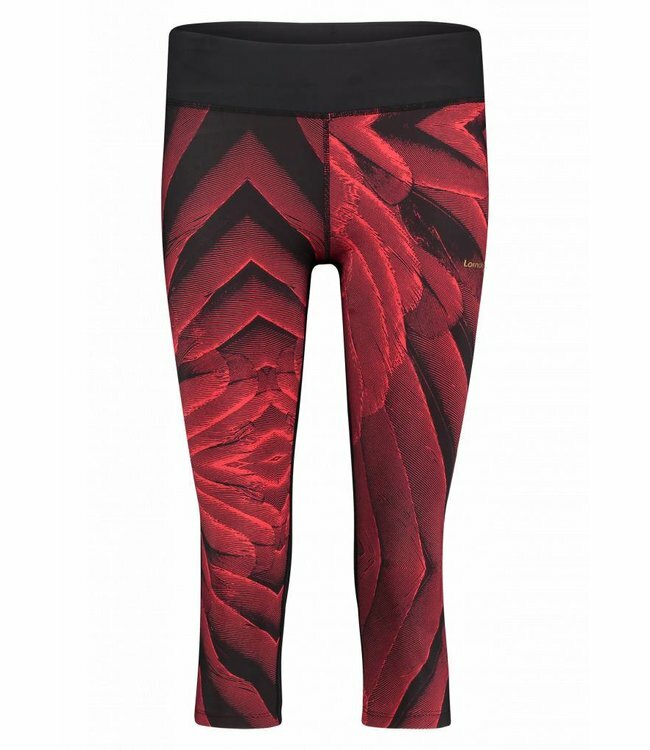 The Fahari is made from high quality moisture wicking stretch fabric that provides optiomal comfort. 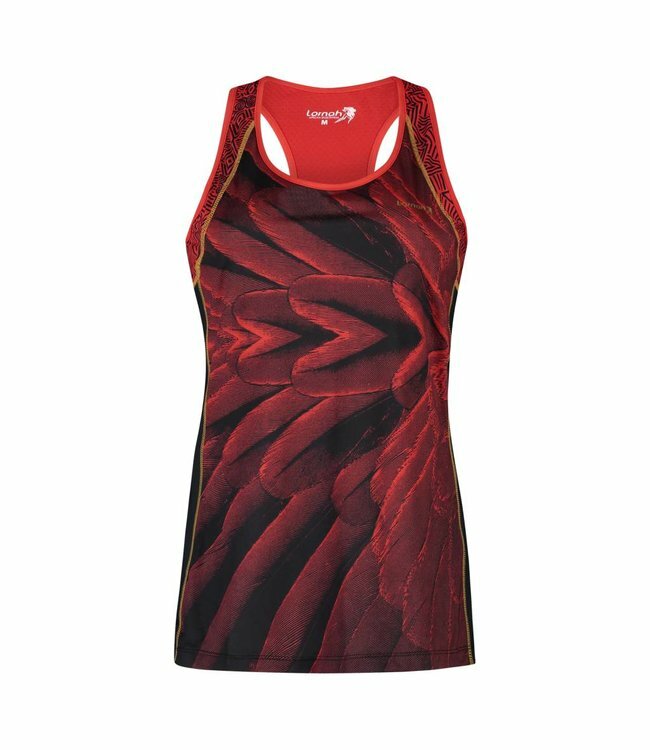 The sports bra has medium support and can be combined perfectly with other items from our black & red feathers collection.